Tech N9ne, one of the world’s most famous rappers, took time out of his busy schedule to talk with me about his new album “P.L.A.N.E.T”, his upcoming show in Saint Louis, and more. Q: What makes the new album different from prior albums? Q: Describe this “planet” to me. What kind of “planet” are you trying to form? Q: What’s your favorite track off this new album? Q: “What if it was Me?” was a fan-favorited song. Some want to know if this song was from a personal experience or if it was simply trying to bring light onto police-violence victims. Q: You had a pretty rough childhood, and a lot of your songs pertain to those events. When you were younger, was rapping your escape? Q: You still dance often? Should we expect that at the upcoming show? Tech N9ne went on to talk about the three different personalities we would see at his upcoming show. 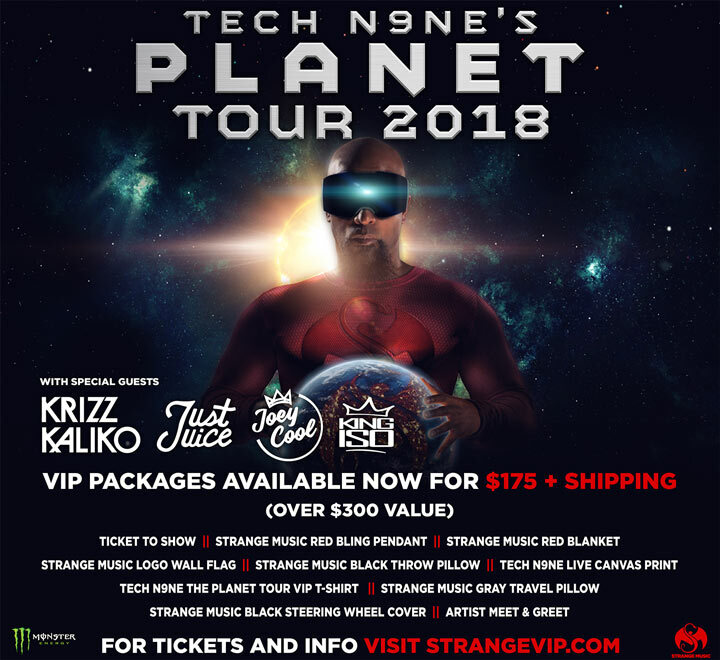 Tech N9ne will be performing at The Pageant in Saint Louis on June 14th. The show will being at 8:00 p.m. Tickets are still available by visiting www.ThePageant.com.